Dawn at the Siloso Beach on Sentosa island, Singapore. I walked with a friend from Malaysia as we talked from Dhoby Ghaut station to Siloso Beach on Sentosa island. Our almost 12 kilometre walk included stopping at Clark Quay for drinks and jamming on the Siloso Beach throughout the night. 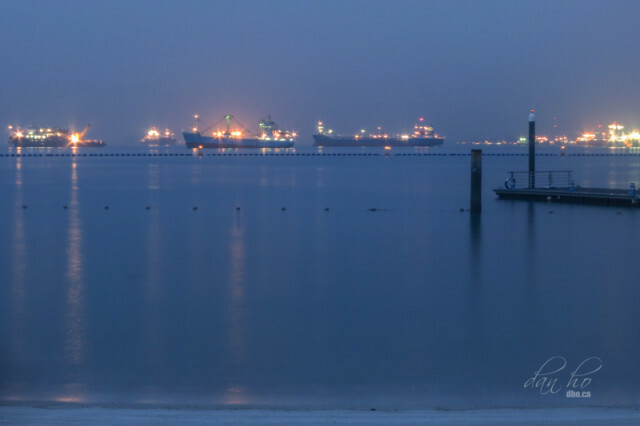 At dawn, I managed to capture the serene beach and waters, with the lit ships that litter Singapore’s coastline.